My morning alarm sounded the beginning of a new school year for me. Only, this year, I won’t be sitting through hours of meetings today. I won’t be hanging posters in my room tomorrow. I won’t be printing out my lesson plans or crafting a “welcome to Mrs. Carrington’s class” e-mail to my parents. No; this morning, I began by reading a few chapters of an illustrated version of treasure island. I laid a little boy on his belly to get in some tummy time. I listened to a caterpillar toy sing the alphabet. I shook a stuffed bunny to make a tinkling sound and pinched his furry ears and watched my little boy’s eyes light up at the crackling noise. I made some coffee and listened to his uncharacteristic grunts and whines. The reality of my mid-June decision rushed over me like a wave and made my solid footing a little unsteady, as I was washed into this new sea of stay-at-home mommyhood. And yet, I got to rock my little boy to sleep for his first nap. When he awoke, our day continued with a walk to the park, a ride in the swings, and cloud gazing in our backyard. My class size may be smaller, but my classroom is much, much bigger. This gig isn’t all together too bad. In fact, it is my favorite job I have ever had. As the last five months have totally flown by, I realize this season will be so short. Eventually, I will go back to the classroom. For now, I am hyper-focused on the fact that I have a little man who needs me to teach him everything. I refuse to take this for granted. I always enjoy planning engaging lessons for my students, so I’ve realized that I need to “lesson plan,” for my little guy. I just have to start to tailor my plans for a 5 month old rather than a 15 year old. For those of us mommies who crave organization, I decided to make a schedule that included a general guideline for a typical day as a SAHM (and writer). 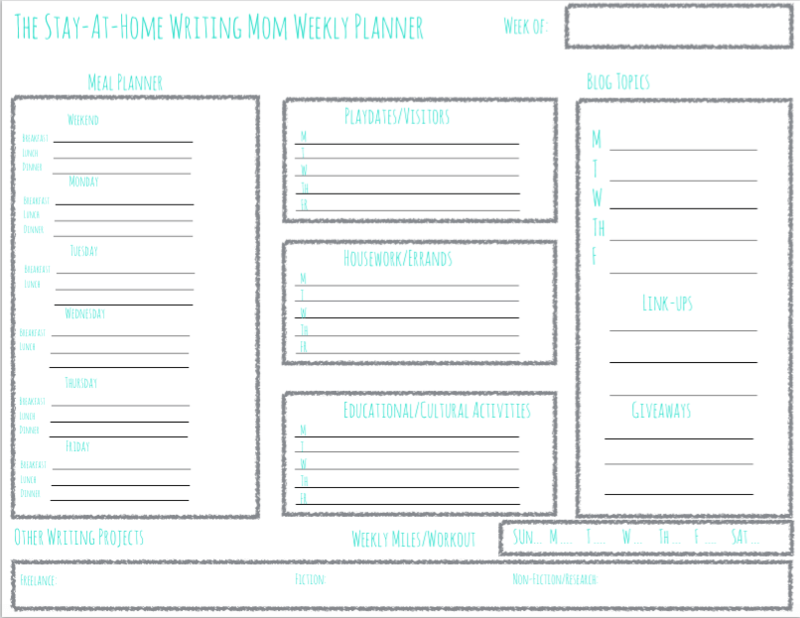 I’ve attached a printable planner for all SAHMs, but it is tailor made for mommy bloggers. You can substitute any weekly assignments/sales events for the blog topics for those of you who are peddling a little Stella and Dot, Norwex, Beauty Counter, Mary Kay…you name it. We’ve got to do what we’ve got to do: amiright? Click the link below to download the planner! I have myself been trying to get a schedule for the family because it’s always crazy here and I want to make the most of the time Daniel is at school and keep Cecelia stimulated at home. Now that school has started being a sahm is real for me as well. I’d like to use the planner you made as a template. Is there a way to edit or what program did you use? I’d like to change the blog topics to projects. And I love your blog! Your little man is so cute! We should plan a play date and catch up! Sure! I will try to make a general mommy planner (same format, different headings) for all mommies. I will link below. This is so great!! I’m printing this now and using it next week. 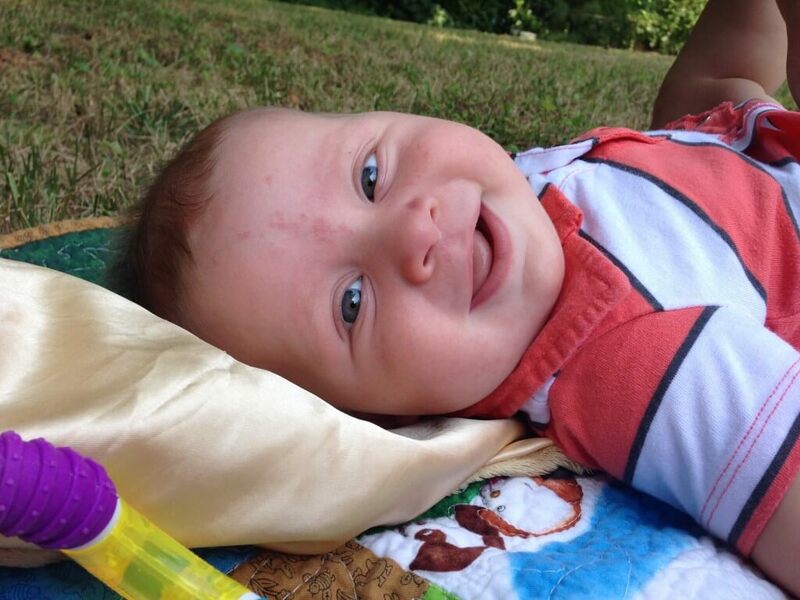 Your little boy is adorable… Enjoy every minute of your time with him!